Leiden, nicknamed Keycity (in Dutch: Sleutelstad), has a population of over 120 thousand and lies in the province South Holland. It is famous for having the oldest university of the Netherlands, called Leiden University. With it’s rich history, monumental buildings, beautifull gardens and canals it’s a lovely place for tourists. 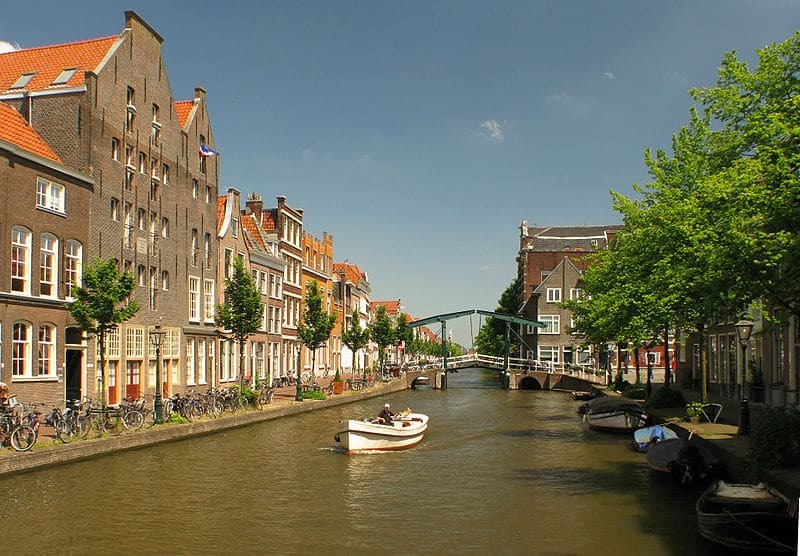 Being near to Amsterdam, Leiden has very good local and international transport links. Most travelers going to Leiden by air, will arrive at Schiphol airport in Amsterdam. Schiphol is the largest airport in the Netherlands. Flying to Schiphol is a very straightforward affair as it can be reached without changing planes from most countries. If you are traveling to Leiden from Schiphol then the easiest way is to get the train. You do not need to go to Amsterdam to do this as there is a train station in the airport. Just buy your ticket from the ticket office and you will usually find the train to Leiden on platform number 5 or 6. The journey to Leiden is not long, it usually takes about 20 minutes. Groenoordhallen and Haagweg, where there is also a free bus that will take you to the city center. Most of the local buses in Leiden either arrive at or go by the train station, so this is a good place to find your bearings. You should also be able to buy an ov-chipcaart here which makes it much easier and cheaper to travel on the buses. Although the city center is not small it is easily manageable by bicycle and they are cheap and easy to hire in the city. If you prefer to travel by car, then your best option is probably to take a taxi. You can find them at taxi stands at the station and other well frequented places or you can flag one down in the street. If you would rather be collected from your hotel, you can arrange this by telephone,TCL Taxicentraal Leiden, +31 71 210 0210, or, Taxi loyaal BV +31 71 888 1869. Leiden is a small city, just 30 minutes away from Amsterdam. It is a university city with students making up 20,000, of its 120,000 population. The painter Rembrandt was born here and the “old city”, is second in size only to Amsterdam’s. The National Museum of Natural History is a museum dedicated to the ancient natural world. It has some excellent collections of fossils and bones and manages to use the exhibits to bring this time to life. It also has a wonderful “treasure chamber” where there are exhibits of precious stones, gems and the bones of long extinct animals. The Museum Boorhaave is named after a Dutch biologist of the 1500’s. It has a fascinating display of medical instruments and equipment used in the study of science, including the Theatrum Anatomicum, a rebuilt theatre of study where anatomical demonstrations were held. Leiden has some beautiful canals around the city, and what could be better than to spend the afternoon gently cruising along, admiring the historical buildings and streets that meander along the path of the canals. On the 3rd of October every year there is a huge festival to commemorate the ending of the Spanish siege in 1547. There is also a fun fair and a great deal of beer drinking. Leidsche Bluesweek is an annual blues festival. It is usually very lively, especially on the Wednesday when many of the local bars and pubs have live music. There is some very good shopping to be had in Leiden, most of the big brands are there along Haarlemmerstraat and Breestraat. Easily walkable from the Central Station, they have an excellent selection including many fashion and department stores. If you want something more eclectic or unusual then you should go to the Hooglandsekerk and the Pieterskerk which house many smaller and, for some, more interesting shops, dealing in antiques, brick a brack and there also some small boutiques as well. If you are looking for some great food, then Leiden has plenty to offer. The Delphi serves very good Greek food for a very good price, expect it to be busy. De Oud Harmonie serves great student type food, very cheaply. If you are looking to go a bit upmarket the you could try the Het Prentenkabinet, where they serve very excellent but very pricey French cuisine. Leiden has much to offer the visitor or tourist, also it’s closeness to Amsterdam makes it ideal for a day out from the capital.